Black-tailed Skimmer (Orthetrum cancellatum). Male. Taken at Crookham Common, Berks, on July 16th 2016. Approx 3.5x lifesize. Male. Taken at Crookham Common, Berks, on July 16th 2016. 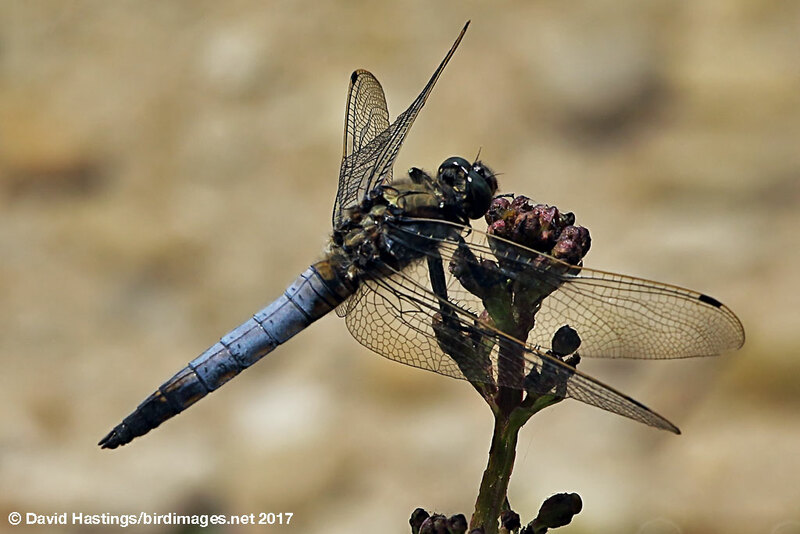 Black-tailed Skimmer (Orthetrum cancellatum). Male. Taken at Whelford Pools, Gloucs, on June 14th 2017. Approx 3.5x lifesize. Black-tailed Skimmer (Orthetrum cancellatum). Teneral male. Taken at Standlake Common, Oxon., on June 20th 2018. Approx 3.5x lifesize. Teneral male. Taken at Standlake Common, Oxon., on June 20th 2018. Black-tailed Skimmer (Orthetrum cancellatum). Female. Taken at Whelford Pools, Gloucs, on June 21st 2018. Approx 3.5x lifesize. Female. Taken at Whelford Pools, Gloucs, on June 21st 2018. Black-tailed Skimmer (Orthetrum cancellatum). Female. Taken near Montmorillon, France on June 29th 2010. Approx 3.5x lifesize. Female. Taken near Montmorillon, France on June 29th 2010. 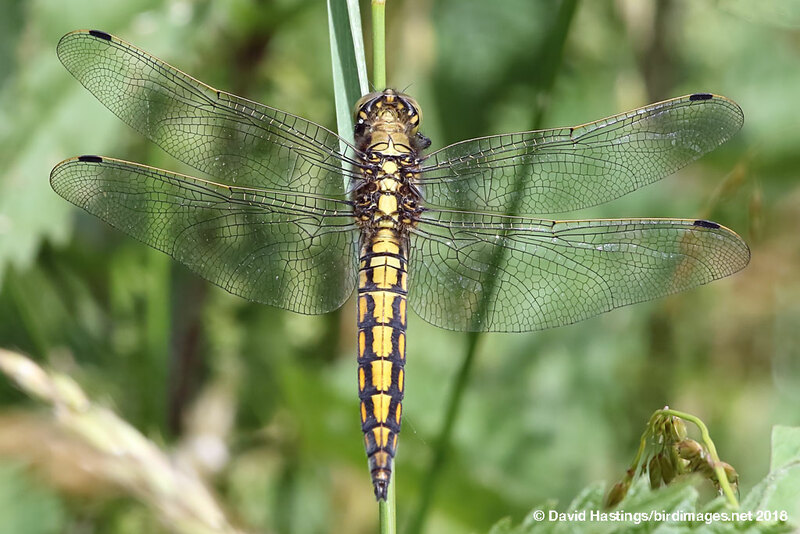 Black-tailed Skimmer (Orthetrum cancellatum). Mating wheel. Taken at Farmoor, Oxon on July 13th 2008. Approx 2.25x lifesize. Mating wheel. Taken at Farmoor, Oxon on July 13th 2008. A medium-sized dragonfly, with the abdomen tapering evenly from S2-3. 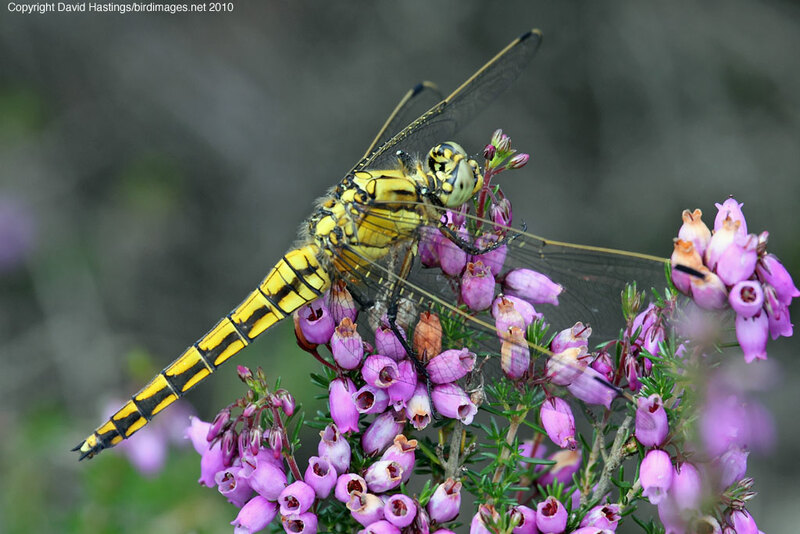 Females and immatures are pale, yellowish brown with two bold lines running along the length of the abdomen. The wings are clear, have a yellow costa and a very dark brown or black pterostigma. The males develop a blue pruinescence on the abdomen darkening to the rear with with S8-10 becoming black. Their eyes are very dark green. Females retain their colour and markings, though they become greyish-brown with age. The main distribution of this species is in England. It is also found in Ireland and south Wales. Its prefered habitat is larger standing or slow-flowing waters, generally open and often with un-vegetated margins. It occurs in brackish waters and can tolerate high fish densities. It is a good colonist of new sites, especially while open margins persist. Eggs are laid in flight. They hatch after five or six weeks and the larvae live partially hidden by bottom debris. They emerge after two or three years. The main flight period is June and July. Males characteristically perch horizontally on exposed surfaces. They fly fast and low, skimming the water surface, while defending their territories. 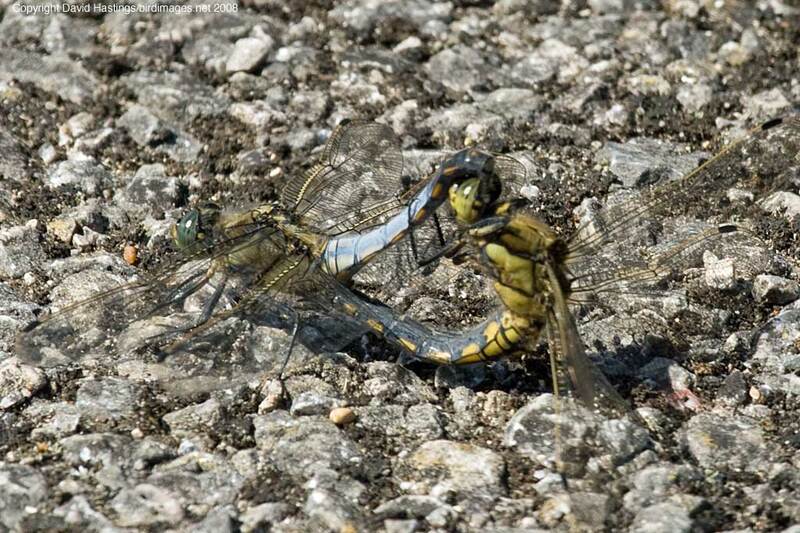 Mating can occur in flight or on land.